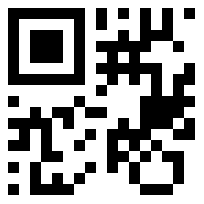 Micro QR Code Generator for C# is simply one barcode writing functionality of RasterEdge .NET imaging toolkit. With this component DLL, users can develop C#.NET applications to create, print Micro QR Code 2D bar codes in images such as png, jpeg/jpg, gif and bmp. Besides these image formats, PDF, TIFF, Word, Excel and PowerPoint documents are also supported for barcode generation. Developers can easily resize barcode image, change colors, and customize resolution & orientation using Visual C#.NET coding. You can easily generator Micro QR Code barcode and save it to image files/object using this C#.NET barcode generator control. The following steps will show how to create a Micro QR Code type barcode encoding numeric data text "123456789" into the image object with XImage.Barcode.Creator. Please copy the sample code as follow to generator a Micro QR Code barcode. If you want to add Micro QR Code barcode generating features to your C#.NET image processing application, try this .NET Barcode Creator Add-on, which supports common raster image file formats: png, gif, jpeg, and bmp. Copy the sample code below to your C# imaging program and you can create a Micro QR Code on the bottom left corner of a sample png image. You can change the location by setting X and Y coordinates in Visual C#.NET sample codes. For more Micro QR Code parameters, please refer to the table demonstrated below. Besides .NET imaging applications, developers can also apply this barcode DLL to C#.NET document manipulating project. Currently we support document types like PDF, TIFF, Microsoft Word, Excel and PPTX, both single page file and multi-page ones. Displayed below are C# examples for drawing Micro QR Code to supported documents.